Shade joined THB in April 2016 and immediately made a very positive impression on clients and other court users with her conscientious and tenacious approach to criminal defence work. Having been admitted to the roll of Solicitors in 2007, she became an Accredited Police Station Representative in 2009 soon after passing her Duty Solicitor and HCA (Civil & Crime) qualification in 2010 all completed while managing the Police Station and Magistrates Courts Department at a busy practice in Leicester. Shade has a vast wealth of experience in representing clients at the police station and Magistrates Court dealing with a range of cases including Murder, Kidnapping and Armed Robbery. Shade also retains extensive experience in handling Crown Court cases having managed cases whilst a trainee and now regularly representing clients at the Crown Court as a solicitor advocate for appeals, trials and sentencing hearing. Shade has a particular interest in dealing with Youth Court cases. Shade also undertakes work in the specialist area of Professional Misconduct including Professional Misconduct Investigations and Hearings and Post-Incident Procedures following Death or Serious Injury at the hands of the State. Shade is working towards developing her knowledge and experience within this field to include representing the interests of Professionals appearing before HM Coroner at Inquests, defending professionals at Misconduct Proceedings and providing accredited training on behalf of the State. 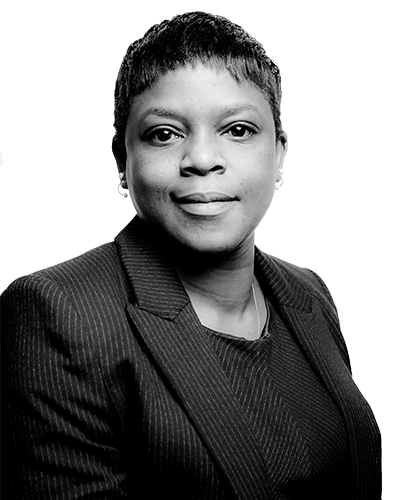 Shade is a member of the Black Lawyers Network, CLAS, SAHCA and was appointed as a Solicitor member of the Criminal Procedure Rules Committee in 2017. R v JE 2017 – Representation of a defendant who was charged with Section 18 GBH and Possession of an offensive weapon based solely on CCTV and cell site mobile phone evidence. Following a successful submission by Shade, the case was stopped by the trial Judge who directed the Jury to return a Not Guilty verdict.